Bring a contemporary new look to your cold beverage service with cups featuring Pathways, the latest product design from Dixie. 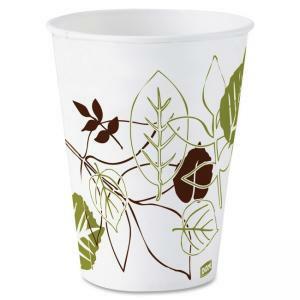 Based on nature's beauty, the Pathways cold beverage cup design will impress guests while performing beautifully. The WiseSize product offering provides a packaging solution for efficiencies in your business. New smaller case sizes and a sleek, uniform poly design have been developed for an assortment of popular products. These smaller case sizes will result in a minimum of split cases and the individual UPC coded poly will make it easier to pull product for delivery.